Oil Leak, EPA Regulations, Engine Oil Leak| Engine Leak Diapers, Inc.
OIL PAN LEAK = "ENGINE LEAK"
STOP! or FIX* an engine oil leak with an ENGINE DIAPER! ENGINE DIAPER is an oil leak fix* that installs under vehicle engine for years. Diaper pad is changed every 6 months. See products and price list; and make a purchase in our ONLINE STORE. Serving Austin, TX, and nationwide. * Oil no longer leaks on driveway. Engine Diaper does not fix engine. Our patented Engine Diaper is designed to be installed under the engine in your vehicle to keep oil leaks from reaching ground surfaces. Engine Diapers help Fleet Vehicles conform to EPA water permit LAWS. For both passenger and commercial vehicles our products are simple to install and are an economical alternative to expensive engine removal and repair. 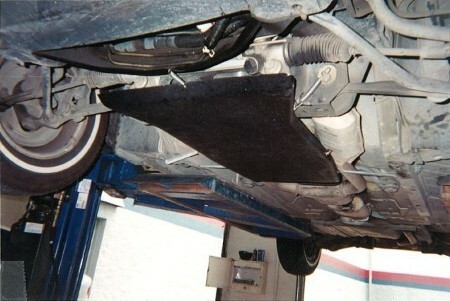 It is the final answer to keeping engine oil leaks off of roads and driveways. 1.) An invention that has generated two (2) patents. So no competition due to PATENT PROTECTION. 2.) Eight (8) years of operations, experience and sales. 3.) EPA laws require commercial fleets and commercial vehicles to fix/stop engine oil leaks. 4.) Present owner willing to consult and advise in new company. 5.) Comprehensive marketing program ready to implement (including TV). 6.) Products vetted, so customers (companies, commercial vehicles, and consumers) only need to be informed of Engine Diaper availability and fact that they exist through TV advertising. 7.) Engine Diapers needed for USA and all industrialized countries in the world. 8.) Engine Diaper devices are first and only products of their kind. Therefore TV advertising is needed to announce that they exist.